Vivek Mehra is the CEO and MD, SAGE publications India, a TEDx speaker, mentor, author, editor, teacher and a student. He received the Business Excellence and Innovative Best Practices Academia Award - 2019 by Dr. Manmohan Singh at The New Delhi Institute of Management (February 2019) and the “Sharda Top Rankers Excellence Award for Visionary Leadership” (January 2016). He is also the recipient of the “Vijayshree” award by Government of Maharashtra (1994) for simplifying complex dehydrating technology, ensuring a brighter future for small-scale farmers. Vivek serves as the honorary Council Member and Member of Board Studies for the Association of Learned & Professional Society Publishers’ (ALPSP) journal, Learned Publishing. He has edited and typeset 14 books besides authoring one courseware Fundamentals of Chemical Engineering. He was visiting faculty at Ambedkar University Delhi and taught courses at the Post Graduate level. He is currently a Board of Studies member at the School of Business, Public Policy and Social Entrepreneurship at Ambedkar University Delhi and is also a part of the Quality Assurance Committee at the same university. He was also the lead in the creation and development of an editing course at Neotia University, Kolkata. He comes from a family of textile manufacturers who pioneered silk screen printing in India. His business education began in family-owned textile mills before formally beginning in New York. On his return to India, he spent four years working closely with the Central Food Technology Research Institute of India, Mysore and helped setup India’s first commercial fruit dehydration and preservation unit. The Government of India acknowledged his efforts and thanks to him, thousands of farmers across the grape growing belt of Central India today reap the benefits. In 1999, he left the field of food processing to spend time on researching chemical formulations that had thus far remained the preserve of large corporations in the developed world. His work on ultraviolet detectable inks and gel based stamping systems laid the foundation for these product lines in India. Vivek pursued his passion for editing by joining hands with IDC Technologies, an Australian company and a market leader in providing workshop based training to engineers and technicians. He set up an India based unit to support the growing need of producing courseware for the company. In 2003, he became a trainer and exclusively handled workshops in New Zealand, Canada and UK. He joined SAGE India as Deputy Managing Director in September 2005. On 1 December 2006, he officially became Managing Director and CEO of SAGE India. In 2018 the company crossed 500 employees across 4 offices and sales reps based at remote locations across India. In July 2013, he self-published his maiden novel, ‘Seven Shades of Grey’ a fictional story of lives intertwined and reality blurred, originally written in 1999, which no publisher wanted to publish. 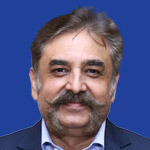 He has served as the Vice President, Association of Publishers in India and is on the committee of CII and FICCI on IPR, Copyright and Higher Education. Vivek holds an MBA in Marketing from Columbia University, New York and a B.Sc. in Textile Technology from the Fashion Institute of Technology, New York. In 2018 the University of London, awarded him a Post Graduate Diploma in Intellectual Property Law in addition to the Post Graduate Certificate in Intellectual Property Law awarded in 2017. With more than 500 employees, SAGE India today is Great Place to Work certified.